Most Philadelphia office space brokers and investors consider Market Street West – the portion of Market Street running from City Hall to 21st Street – as Center City’s premier office district, and with good reason. Public transit access is exceptional along that corridor, which is home to more than 12 million square feet of Philly office space; this is more than double the amount of office space located on other major Center City thoroughfares such as JFK Boulevard, South Broad Street, or Market Street East. This CoStar report is being offered through Wolf Commercial Real Estate, a Philadelphia commercial real estate brokerage firm specializing in Philadelphia commercial real estate listings. However, Market Street West’s concentration of modern office skyscrapers has made it a favorite among large, publicly traded companies based in Philadelphia, a feature which is both a blessing and a curse for local office landlords dealing in Philadelphia office space. Clearly, Market Street’s popularity among large tenants is a plus for landlords that can retain them. Giant long-term leases by companies such as Independence Blue Cross or Beneficial Bancorp help some office owners keep large portions of their Philly office space properties filled for years or even decades on end. The problem is that thanks to high business costs, Center City’s Philadelphia office space does not have a strong track record when it comes to attracting and retaining large corporate headquarters. Many of Philadelphia’s largest white-collar employers such as Sunoco, Dow Chemical and PNC have all either vacated or downsized their Market Street office space in recent years as part of cost-cutting efforts. The result is that, in terms of the percentage of office availability rates, Market Street West does not stand out as a particularly tight Philly office space market today. The tightest Philadelphia office space micro markets (in terms of both physical vacancy rates and percentage of space listed as available for lease) are currently Rittenhouse Square and Logan Square. 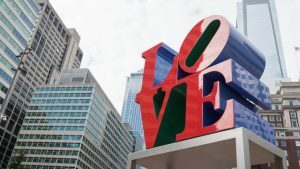 Both are located a few blocks off Market Street and are home to some of Center City’s most coveted public greenspaces. In contrast to Market Street West, the bulk of Philly office space stock in the Rittenhouse Square area is comprised of office properties located along Walnut Street, smaller than 350,000 square feet and built before 1970. These properties cater almost exclusively to tenants looking for Philadelphia office space of less than 15,000 square feet, often in industries like legal services, healthcare, and accounting. These mostly privately-held firms do not face the same scrutiny from public shareholders and as a result, are less likely to relocate out of Center City to cut costs. From an owner’s perspective, one downside associated with owning these older, smaller Philly office space properties is the constant time and money spent shuffling tenants in and out, as having smaller tenants means more lease expirations. However, these Philadelphia office space properties have maintained higher average occupancy rates in recent years than most of the newer skyscrapers along Market Street. As a result, available office space is also harder to find in and around Rittenhouse Square and Logan Square than it is in any other major office district of Center City. For more information about Philly office space or other Philadelphia commercial properties please call 215-799-6900 to speak with Jason Wolf (jason.wolf@wolfcre.com) at Wolf Commercial Real Estate, a premier Philadelphia commercial real estate broker that specializes in Philadelphia office space. Wolf Commercial Real Estate, a Philadelphia commercial real estate broker with extensive expertise in Philadelphia commercial real estate listings, provides unparalleled expertise in matching companies and individuals seeking new Philadelphia office space with the Philadelphia commercial properties that best meet their needs. As experts in Philadelphia commercial real estate listings and services, the team at our Philadelphia commercial real estate brokerage firm provides ongoing detailed information about Philadelphia commercial properties to our clients and prospects to help them achieve their real estate goals. If you are looking for Philly office space for sale or lease, Wolf Commercial Real Estate is the Philadelphia commercial real estate broker you need — a strategic partner who is fully invested in your long-term growth and success. Please visit our websites for a full listing of South Jersey and Philadelphia commercial properties and Philadelphia commercial real estate listings for lease or sale through our Philadelphia commercial real estate brokerage firm. The U.S. office market, including Philly office space property, continued to benefit from strong fundamentals going into 2018, despite continued deceleration in net absorption, occupancy, and rental rate growth. 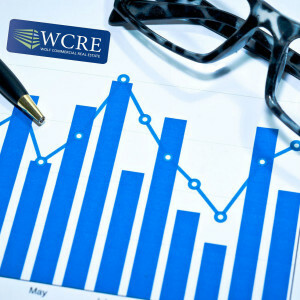 With robust corporate profits and continued office-using job growth, that trend is expected to hold through the year as the recently approved tax cuts and expected gradual increases in interest rates make U.S. office space, Philadelphia office space, and other institutional-grade property types an attractive place for investors to park capital and get cash flow. The improved profit growth outlook for the services sector and other industries that drive demand for U.S. office space and Philly office space, along with expected higher GDP growth projected at a very strong 2.5% to 3% in the next few months, should help office job growth hold steady at strong levels for the next few month, Nordby said. The rate of vacancies in U.S. office space markets, including Philadelphia office space, held steady at 10.1% at the end of the fourth quarter 2017, unchanged from the same period a year prior, despite a large amount of new supply and a 20% decline in office net absorption to 65 million square feet for 2017. Meanwhile, the total amount of office property acquired by investors declined about 15% in 2017 from the prior year, largely due to a sharp drop in office trades in New York City, in Philly office space, and in other gateway markets. Despite the declining sales volume, average prices in primary markets – such as those involved in Philadelphia office space – continued to rise, prompting investors to fan out into secondary markets such as suburban Phoenix, where Transwestern Investment Group and JDM Partners acquired Marina Heights, State Farm’s office campus in Tempe, AZ, for $930 million at $459 per square foot. Leonard sees the vacancy rate involving both national and Philly office space ticking up beginning this year through 2020 as the expected new supply of space finally begins to outpace demand. For more information about Philly office space or other Philadelphia commercial properties please call 215-799-6900 to speak with Jason Wolf (jason.wolf@wolfcre.com) or Andrew Maristch (drew.maristch@wolfcre.com) at Wolf Commercial Real Estate, a premier Philadelphia commercial real estate broker that specializes in Philadelphia office space. 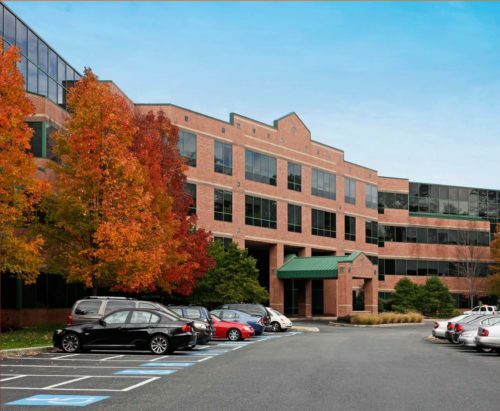 Wolf Commercial Real Estate, a leading Philly commercial real estate broker that specializes in Philly commercial real estate listings and services, now has Philly office space for sale at 403 Hyde Park and 411 Hyde Park located at 3900 Mechanicsville Road in Doylestown. Sitting directly on U.S. 202 at Mechanicsville Road, this office space for sale in Philly consists of two buildings, both of which are for sale. The Philly office building for sale at 403 Hyde Park Doylestown PA has +/- 2,460 sf of office space for sale in Philly. 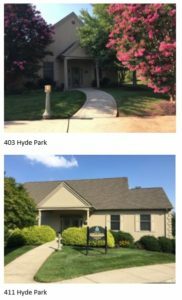 Conversely, the Philly office building for sale at 411 Hyde Park Doylestown PA offers +/- 3,278 sf of office space for sale in Philly. The asking sale price for the office space in Doylestown PA at 403 Hyde Park is $395,000 while the asking sale price for this Philly office space for sale at 411 Hyde Park is $525,000. Both of these Philly office buildings for sale are constructed of stucco over wood and metal and this Philly office space for sale has an on-site well and septic system for its water & sewer service. There is abundant parking available at this Philly office space for sale and both of these Philly office buildings for sale were built in 1998. This Philly office space for sale is now available for immediate occupancy through Wolf Commercial Real Estate, a Philly commercial real estate brokerage firm with expertise in Philly commercial real estate listings and services. This Philly office space for sale is composed of eight architecturally appealing office buildings that are being offered by Wolf Commercial Real Estate, a Philly commercial real estate broker that specializes in Philly commercial real estate listings and services. 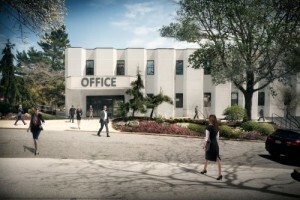 In addition, this Philly office space for sale sits on a skillfully landscaped campus. For more information about this Philly office space for sale at 403 Hyde Park Doylestown PA and 411 Hyde Park Doylestown PA or about other Philly commercial properties for sale or lease, please contact Lee E. Fein (215-206-5580; lee.fein@wolfcre.com) at Wolf Commercial Real Estate, a Philly commercial real estate brokerage firm. Wolf Commercial Real Estate is a premier Philly commercial real estate broker that provides a full range of Philly commercial real estate listings and services, marketing commercial offices, medical properties, industrial properties, land properties, retail buildings and other Philly commercial properties for buyers, tenants, investors and sellers. Please visit our websites for a full listing of Philly commercial properties for sale or lease or sale through our Philly commercial real estate brokerage firm. 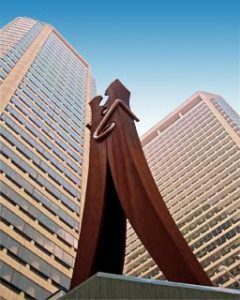 Centre Square, the 1500 Market Street Philly office space complex best known for Claes Oldenburg’s giant “Clothespin” art sculpture in its front plaza, was sold for $328 million this month to New York-based Nightingale Properties, according to Philly.com. The website called the deal the largest office transaction based on square footage in Philadelphia office space history. The sale of the complex, with a 36-story East Tower and a 43-story West Tower containing 1.76 million square feet of Philly office space, ends a year-long search for a buyer. Philly.com said Chicago-based Equity Commonwealth put the property on the market in March 2016. Nightingale Properties, a real estate investment company, told Philly.com it plans to extensively renovate this Philadelphia office space, which was built in 1974. Previously, the group purchased 1700 Market Street and then sold it after property improvements. Nightingale – according to its website – currently owns three other Philly office space buildings: 1500 Spring Garden Street, 1835 Market Street, and 1635 Market Street, all multistory office buildings in Center City. Current Centre Square tenants mentioned in the Philly.com article include the University of Pennsylvania Health System; Towers Watson, a global advisory and broking and solutions company; law firms Dilworth Paxson and Saul Ewing; Public Health Management Corp.; and Radian, a mortgage insurer. A 450-car parking garage and a 41,000-square-foot retail component with shops and restaurants are also located in the complex. At the time of the sale, the Philadelphia office space building was 91.2 percent leased. This news on Philadelphia commercial properties is being offered through Philadelphia commercial real estate broker Wolf Commercial Real Estate, a Philadelphia commercial real estate brokerage firm. Wolf Commercial Real Estate, a full-service CORFAC International brokerage and advisory firm, is a premier Philadelphia commercial real estate broker that provides a full range of Philadelphia commercial real estate listings and services, property management services, and marketing commercial offices, medical properties, industrial properties, land properties, retail buildings and other Philadelphia commercial properties for buyers, tenants, investors and sellers. The Philadelphia office space market ended the first quarter 2017 with a vacancy rate of 8.7%. The vacancy rate across all Philly office space properties was down over the previous quarter, with net absorption totaling positive 173,096 square feet in the first quarter. That compares to positive 1,080,044 square feet in the fourth quarter 2016. Vacant sublease space increased in the quarter, ending the quarter at 1,112,547 square feet. The Class-A Philadelphia office space market recorded net absorption of negative 588,125 square feet in the first quarter 2017, while net absorption for Philadelphia’s central business district was negative 4,710 square feet. Tenants moving into large blocks of Philly office space so far in 2017 include: Ashfield Healthcare moving into 82,000 square feet at 1100 Virginia Dr; WeWork moving into 55,238 square feet at 1900 Market Street; and Holy Redeemer Health System moving into 36,000 square feet at 201 Veterans Way. Rental rates in the Philadelphia office space market ended the first quarter at $22.68, an increase over the previous quarter. A total of six buildings delivered to the Philly office space market in the quarter totaling 214,556 square feet, with 4,398,979 square feet still under construction at the end of the quarter. This trend is compared to the U.S. National Office vacancy rate, which stayed at 9.7%, relatively unchanged from the previous quarter, with net absorption positive 10.78 million square feet in the first quarter. Average rental rates increased to $24.44, and 339 office buildings delivered this quarter totaling more than 21.29 million square feet, with 154.4 million square feet still under construction. Wolf Commercial Real Estate is a Philadelphia commercial real estate brokerage firm, providing a full range of Philadelphia commercial real estate listings and services and marketing commercial offices, medical properties, industrial properties, land properties, retail buildings and other Philadelphia commercial properties for buyers, tenants, investors and sellers. 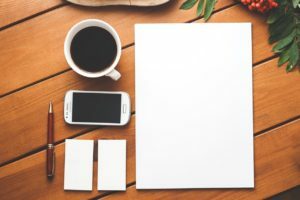 The best personal finance advice “can fit on a 3-by-5 index card, and is available for free in the library,” Pollack said during the interview. In the book, they elaborated on the simple financial advice that Pollack recorded on his index card (with a few modifications and the addition of a tenth rule). it was a one-off comment and he did not even elaborate on the specific financial advice. Harold Pollack believes that you can fit all the investment advice you’ll ever need on a single index card. [The best personal finance advice] can fit on a 3-by-5 index card. Wolf Commercial Real Estate, a premier Philly commercial real estate brokerage firm with expertise in Philly commercial real estate listings and services, is now offering Philly office space for lease at 930 Harvest Drive Blue Bell PA. This Philly professional office space for lease is in a four-story Class A office building. There is 2,000-24,742 RSF of divisible professional office space for lease in Philly at this Philly office building for lease. The asking lease price for this professional office space in Philly is $21.75/sf gross plus electric. This Philly professional office space for lease is available through Wolf Commercial Real Estate, a Philly commercial real estate broker that specializes in Philly commercial real estate listings and services. Located in a Philly office building for lease with a newly renovated building café, restrooms, and common area, there are 4,024 RSF of divisible professional office space in Philly on the first floor, 5,808 RSF of Philly office space for lease on the second floor, and 24,741 RSF of divisible Philly professional office space for lease on the fourth floor. This Philly office building for lease at 930 Harvest Drive Blue Bell PA has responsive, on-site ownership and management and this professional office space for lease in Philly also offers a seamless, no-hassle tenant build-out process. There is Wi-Fi available throughout the building housing this professional office space for lease in Philly. This professional office space in Philly also has an on-site day porter to immediately address tenant maintenance requests. This Philly office building for lease at 930 Harvest Drive Blue Bell PA is now available through Wolf Commercial Real Estate, a Philly commercial real estate brokerage firm with expertise in Philly commercial real estate listings and services. There is a vending area available 24/7 at this Philly professional office space for lease and there is access to a tenant-only conference center at this professional office space for lease in Philly. This Philly office space for lease has easy access from major highways I-476, PA Turnpike and Plymouth Meeting interchange. Parking is plentiful at this Philly office building for lease, with a ratio of 4/1,000 sf and additional parking available on an adjacent lot. For more information about this Philly office space for lease at 930 Harvest Drive Blue Bell PA or about other Philly commercial properties for sale or lease, please contact Andrew Maristch (drew.maristch@wolfcre.com), Anthony Mannino (anthony.mannino@wolfcre.com), or Jason Wolf (jason.wolf@wolfcre.com) – or call Wolf Commercial Real Estate, a Philly commercial real estate broker, at 215-799-6900. Wolf Commercial Real Estate is a premier Philly commercial real estate broker that provides a full range of Philly commercial real estate listings and services, marketing commercial offices, medical properties, industrial properties, land properties, retail buildings and other Philly commercial properties for buyers, tenants, investors and sellers. Please visit our websites for a full listing of Philly commercial properties for lease or sale through our Philly commercial real estate brokerage firm. Wolf Commercial Real Estate, the foremost Philadelphia commercial real estate brokerage firm with experience in Philadelphia commercial real estate listings and services, now has available leasing opportunities at well-located Philly office space for lease in the Monroe Office Center at 1 Winding Drive Philadelphia PA.
Suites at this Philadelphia office building for lease are available in sizes ranging from 1,325 square feet to 71,000 square feet of divisible professional office space in Philadelphia. This Philadelphia office space for lease is perfect for any professional office or medical use. The asking lease price for this professional office space in Philly is $16.00 sf modified gross plus electric. Wolf Commercial Real Estate, a Philadelphia commercial real estate broker with expertise in Philadelphia commercial real estate listings and services, has been named the exclusive leasing agent for this Philly office building for lease in the Monroe Office Center at 1 Winding Drive Philadelphia PA.
Post Brothers, which owns and manages this Philadelphia office space for lease, relocated its headquarters to the Monroe Office Center in 2015, taking over approximately 15,000 square feet of this Philadelphia office building for lease. Several additional tenants also have leased space in this Philly office building for lease at 1 Winding Drive Philadelphia PA including DYK Automotive, LLC, an affiliate of Atlantic Pacific Automotive, and VT Cellular, LLC, a dealer affiliate for Metro PCS. This Philly office space for lease sits in a secure park-like setting within the Presidential City apartment complex on the Philadelphia side of City Line Avenue, directly across from Bala Cynwyd. Presidential City is now undergoing a total renovation and repositioning to become a first-class town-center community in an excellent retail, living and work environment. The complex will feature ultramodern surroundings and contemporary designs. This professional office space in Philadelphia is a two-story, elevator-served Philly office building for lease that provides efficient floor layouts and suites that can be fully customized according to tenant specs. This Philadelphia office space for lease features 24-hour staffed gatehouse security. This Philadelphia office building for lease also provides individual tenant signage. This professional office space in Philly in the Monroe Office Center at 1 Winding Drive Philadelphia PA is available for immediate occupancy through Wolf Commercial Real Estate, a Philadelphia commercial real estate brokerage firm and the exclusive leasing agent for this Philadelphia office building for lease. This professional office space in Philadelphia is located immediately off an exit of I-76 (the Schuylkill Expressway). The location of this Philly office space for lease provides easy access to Center City Philadelphia, the Philadelphia International Airport, Manayunk, King of Prussia and New Jersey via numerous Delaware River bridges. There are many retail centers, restaurants and hotels within walking distance of this Philly office building for lease. This professional office space in Philly provides abundant parking in an on-site parking garage with a parking ratio of 4/1,000 sf. For commuters, this Philly office space for lease also provides convenient access to SEPTA public transportation and train service. For more information about this Philadelphia office space for lease in the Monroe Office Center at 1 Winding Drive Philadelphia PA or about any other Philadelphia commercial properties for sale or lease, please call 215-799-6900 to speak with Jason Wolf (jason.wolf@wolfcre.com) at Wolf Commercial Real Estate, a leading Philadelphia commercial real estate broker. The year 2015 was a phenomenal year for sales in the U.S. office space market, including the Philly office space market. The U.S. office market, in fact, registered its best year since 2007, thanks in part to increased demand and constrained levels of construction that led to tightening space availability in metro areas nationwide. U.S. office space net absorption surpassed 100 million square feet for the first time since the Great Recession and the U.S. office vacancy rate was down another half-percentage point for the 12-month period that ended December 31, 2015. The downward trend in the U.S. office vacancy rate, which includes the vacancy rate for Philadelphia office space, continued in 2015, reaching 10.8%, down from 11.3% in 2014 and 13.2% at the peak of the recession, according to the CoStar Group’s recent State of the U.S. Office Market 2015 Review and Forecast. The 2015 vacancy rate for Philly office space came in a hair below the national average. CoStar said vacancies dropped in 64% of U.S. office submarkets and 56% of metro office markets in the last quarter of 2015. Economists said the vacancy rate would continue to decline through 2016, reaching about 10% in 2017. The investment market was particularly hot in 2015, with preliminary office asset sales soaring almost 18% to $152 billion, CoStar reported. Atlanta, Miami and Nashville saw the biggest annual vacancy improvements, performing better than San Francisco, Seattle and Boston, a result that clearly illustrated the office market shift away from technology- and energy-driven metros that fueled the economic recovery and expansion and toward markets hit by the Great Recession’s housing bust. San Francisco’s office vacancy rate declines showed indications of slowing in the last quarter of 2015 as new office supply came to the market, the CoStar economists reported. It was no surprise that the strongest annual occupancy gains came from Silicon Valley markets. Still, the 2015 shift away from higher occupancies in markets driven by energy or technology, gave big-tenant markets like Atlanta and Dallas a boost in occupancy results. Eight of the 13 markets with the highest year-over-year occupancy improvements were not in energy- or technology-driven markets, CoStar said. U.S. consumers have been enjoying savings as a result of the lower gas prices, but some geographical areas and parts of the economy have been hurt by the drop in energy prices, the effect on the stock markets, and global economic turbulence, CoStar’s economists reported. Since its May 2015 peak, the S&P 500 dropped about 11%. Both weakness in energy-related stocks and a drop of more than 10% in technology stocks contributed to the S&P’s decline. Tech markets continue to be among the nation’s most volatile, CoStar said. Markets such as San Jose, San Francisco, Boston, Raleigh, Austin and Seattle are waiting to see how lower private and public market valuations will impact hiring, CoStar said. Recently, both Apple and Samsung Electronics warned that tech is facing a slowdown in 2016, blaming global economic instability and declining demand. Yahoo says it will cut its workforce by another 15%, or 1,700 jobs; dispose of surplus real estate; shut down five global offices; and examine “strategic alternatives” aimed at possibly selling or spinning off its core search engine and web portal business, according to CoStar. Last month, Yahoo already had started looking for a buyer for a 48-acre tract near Levi Stadium in Santa Clara that the company had planned to use for expansion. Notwithstanding the predicted slowdown in energy and technology, ongoing momentum from 2015’s strong performance in the U.S. office space market and the overall U.S. commercial real estate market, including the Philadelphia office space market, is expected to continue well into 2016, CoStar said. Annual net absorption of U.S. office space rose to 101 million square feet in 2015 from 93 million square feet in 2014. Roughly 64 million square feet of U.S. office space was delivered to the market in 2015, an increase of 41% over the previous year. New office space under construction was up a modest 7% at year-end 2015, an improvement after two quarters of declines. Annual rent growth reached 4.4% by the end of 2015, surpassing 2014’s 3.8% growth, according to the report. Rents showed particularly strength in CBDs, such as San Francisco at 19.4% and Raleigh, NC at 13.9%. Even Atlanta and Detroit’s urban core rents were up, increasing 11.2% and 10.5%, respectively. For more information about Philly office space or other Philadelphia commercial properties, please call 215-799-6900 to speak with Jason Wolf (jason.wolf@wolfcre.com) at Wolf Commercial Real Estate, a premier Philadelphia commercial real estate broker that specializes in Philadelphia office space. Wolf Commercial Real Estate, a Philadelphia commercial real estate broker with extensive expertise in Philadelphia commercial real estate listings, provides unparalleled expertise in matching companies and individuals seeking new Philadelphia office space with the Philadelphia commercial properties that best meets their needs. As experts in Philadelphia commercial real estate listings and services, the team at our Philadelphia commercial real estate brokerage firm provides ongoing detailed information about Philadelphia commercial properties to our clients and prospects to help them achieve their real estate goals. If you are looking for Philly office space for sale or lease, Wolf Commercial Real Estate is the Philadelphia commercial real estate broker you need — a strategic partner who is fully invested in your long-term growth and success. The Philadelphia commercial real estate market enjoyed an overall strong year in 2015, with the Philadelphia office space, Philadelphia retail space and Philadelphia industrial space sectors all turning in solid performances, according to the latest quarterly market report from Wolf Commercial Real Estate, a leading Philadelphia commercial real estate brokerage firm with expertise in Philly commercial real estate listings and services including Philly office space, Philly retail space and Philly industrial space. The quarterly reports Wolf Commercial Real Estate, a Philadelphia commercial real estate broker, have been expanded to include a section on transactions, rates, and news from Philadelphia and the suburbs, reflecting the firm’s 2015 expansion into southeastern Pennsylvania and the Philadelphia commercial real estate market. Philadelphia remains one of the most affordable markets for Philadelphia office space, but rents are rising due to increased demand from users and investors. The year 2015 saw a record number of Class A office properties traded, and investors are expected to continue focusing on well-located, well-leased Philly office space. Class A office rents are garnering support in the range of $29.40/sf in the central business district and $25/sf in the suburbs. The market for Philadelphia retail space is quite strong across all property types and locations and is well positioned to maintain its strength. Asking rents have been stable overall for the Philly retail space market, with sharply rising values for Center City. An ongoing expansion project at the King of Prussia Mall will transform the center into the largest shopping mall in the United States when the project is complete. The retail vacancy rate for community retail properties within the Philadelphia retail space market stood at 5.8 percent for the fourth quarter, which is below the national average of 8.1 percent. At 9.3 percent, the vacancy rate for neighborhood retail centers was somewhat higher but was the same as the sector’s national average. The Philadelphia industrial space market experienced a strong 2015, but in the face of record-breaking positive absorption figures in 2014, the 2015 Philly industrial space market was comparatively slow, registering 149 industrial property sales totaling $563 million. But the 2015 performance was sufficient volume to retain stability in rental and vacancy rates, both of which are expected to improve as long as macroeconomic factors remain stable. Price per square-foot for Philadelphia industrial space sales rose to $41.47 in 2015, in comparison to $39.75 in the 2014. For more information about Philadelphia office space, Philadelphia retail space, Philadelphia industrial space or any Philadelphia commercial properties, please call 215-799-6900 to speak to Jason Wolf (215-588-8800-cell; jason.wolf@wolfcre.com), or Lee Fein (215-206-5580-cell; lee.fein@wolfcre.com) Anthony Mannino (215-470-6084-cell; anthony.mannino@wolfcre.com) or Drew Maristch (215-605-8018-cell; drew.maristch@wolfcre.com) at Wolf Commercial Real Estate, a Philadelphia commercial real estate broker. Wolf Commercial Real Estate is a premier Philadelphia commercial real estate brokerage firm that provides a full range of Philly commercial real estate listings and services including Philly office space, Philly retail space, Philly industrial space and other Philadelphia commercial properties. We market commercial offices, medical properties, industrial properties, land properties, retail buildings and other Philadelphia commercial properties for buyers, tenants, investors and sellers. Please visit our websites for a full listing of Philadelphia commercial properties for lease or sale through our Philadelphia commercial real estate brokerage firm.